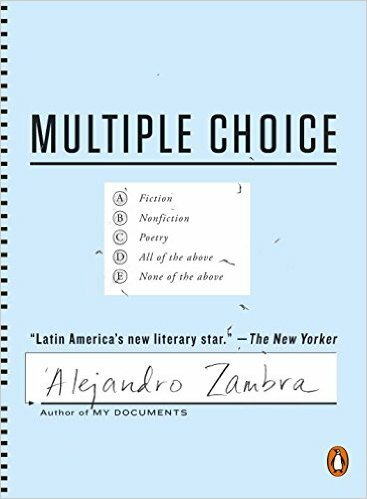 Written in the form of a Chilean standardized test, Multiple Choice invites the reader to respond to language exercises and short narrative passages through multiple-choice questions that are thought-provoking, usually unanswerable, and often absurd. The real beauty of Zambra’s writing is that it is the opposite of dictatorial. His stories are so playful and open, so simple and so much fun to read, so equally joyful and sad, that they can be about anything, or everything, or nothing. They really do invite the reader’s participation in the construction of the text. Which makes Zambra’s work, Multiple Choice included, captivating and meaningful in the best possible ways. ...for all the discussion of frustration and misery in Multiple Choice, it’s in no way a miserable book to read. Zambra’s wry humor gives buoyancy to even the most disturbing story ... [Zambra] exhibits a poet’s awareness of how the confines of a form, of an era, can push a writer to a place he might not have otherwise gone. Like a test taker, a writer sits both alone and among others. The conceit is playful, gimmicky even, but its results are not. 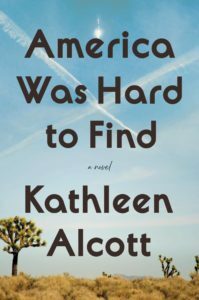 By being forced to reread each piece several times, and think about how it may be better organised, you discover resonances that might be missed on a first pass. Reading Multiple Choice, we all become its author ... It is funny, melancholy, surprising. It is silly at times, profound at others. Its interactivity will entertain you, and might just change the way you think about fiction. What did you think of Multiple Choice?